Why are Utah Scientific Master Control Products the Best? 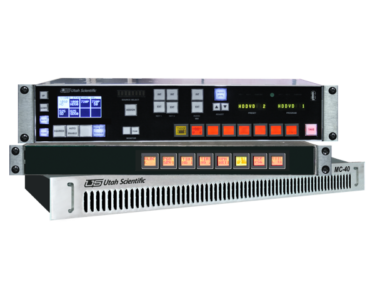 Utah Scientific’s Master Control products are integrated systems for handling the most demanding on-air operations in live, automated, or automation-assisted operating environments. The product line offers a full range of built-in and optional capabilities to handle all of the most commonly required on-air operations, including still and animated logo presentations, audio and video clip playback, and reliable EAS message presentation. 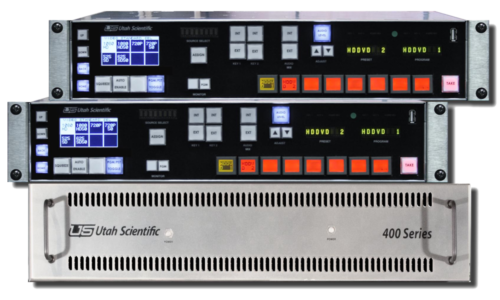 The MC-40 HD/SD Channel Branding System offers the full power of Utah Scientific’s widely popular MC-400 system in a self-contained standalone package with complete functionality for live and automated master control applications. The MC-40 can be used as a single-channel system or as part of a multi-channel system under the control of an MC-2020 master control network. The MC-400 HD/SD Channel Branding System represents a major evolution in the design and deployment of signal processing functionality for live and automated systems. The MC-400 can be used a standalone system or as part of a multi-channel master control system under the control of an MC-2020 master control network. The MC-4000 Digital Processor offers a full range of built-in and optional capabilities to handle all of the most commonly required on-air operations; including still and animated logo presentations and reliable, EAS message presentation. 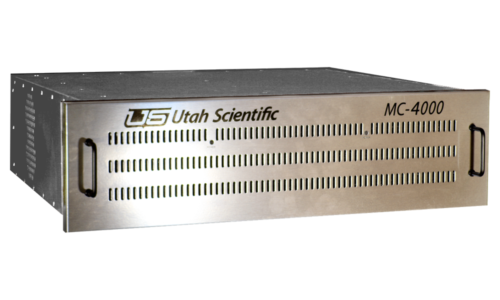 The MCP-2020 provides full control over the advanced functionality offered in the full range of Utah Scientific Master Control Processors. These features, such as multiple keyers, internal DVE options, embedded audio operation, and multi-channel support are all controlled by the MCP-2020 in a way that is operationally compatible with the MC-500 series. The BPS-2020 digital bypass switcher is an 8×1 switcher for digital video (SD or HD) and digital audio signals. 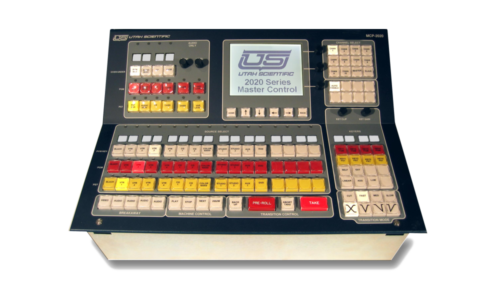 Designed for use in conjunction with the Utah Scientific MC-2020 Master Control Switcher, the BPS-2020 provides a compact, reliable means for switching alternate signals into the program feed, thus bypassing the various elements in the master control signal chain. The GS-4000 is a full-featured graphics system designed to support all of the varied requirements for text and graphics in master control branding applications. The system is capable of displaying a large number of static and animated logos, which are played back in real-time. 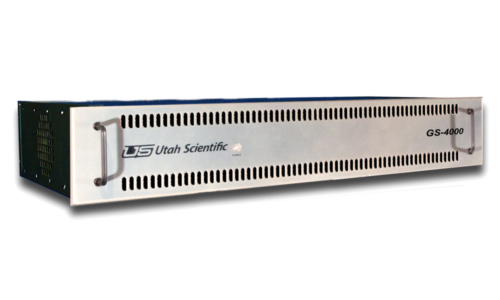 The ESI-2020 is a multi-purpose interface device that is designed to support a number of communications functions in Utah Scientific router / master control systems. The hardware platform is housed in a 1RU rack mount chassis with dual power supplies, a main logic board, and up to three device interface boards, with a front panel display showing device status and feedback on a number of diagnostic and set-up procedures.